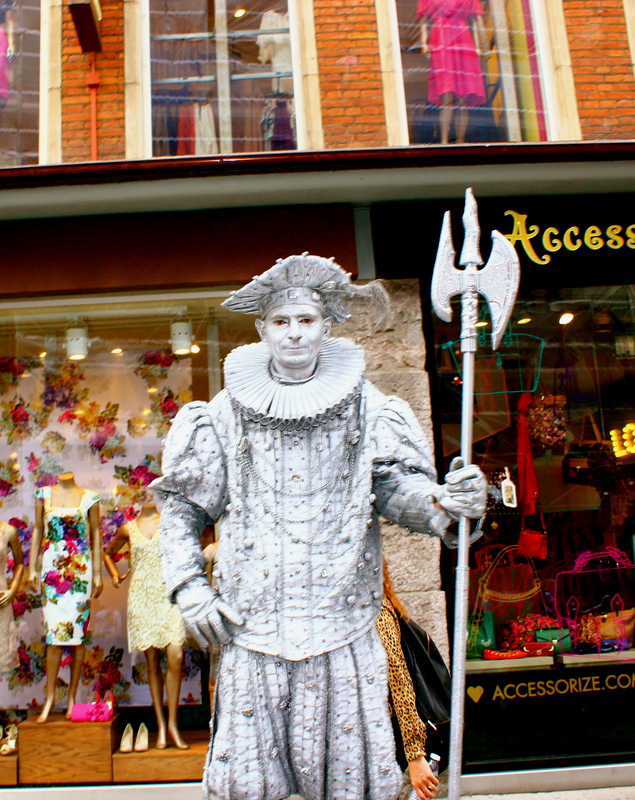 Like so many other European cities, Copenhagen is well known for its city center—where old royal castles appear behind narrow winding streets; where one can find mimes, break-dancers, and flash mobs on every street corner; and where you’re more likely to run into a horde of bikers crossing a street than cars. 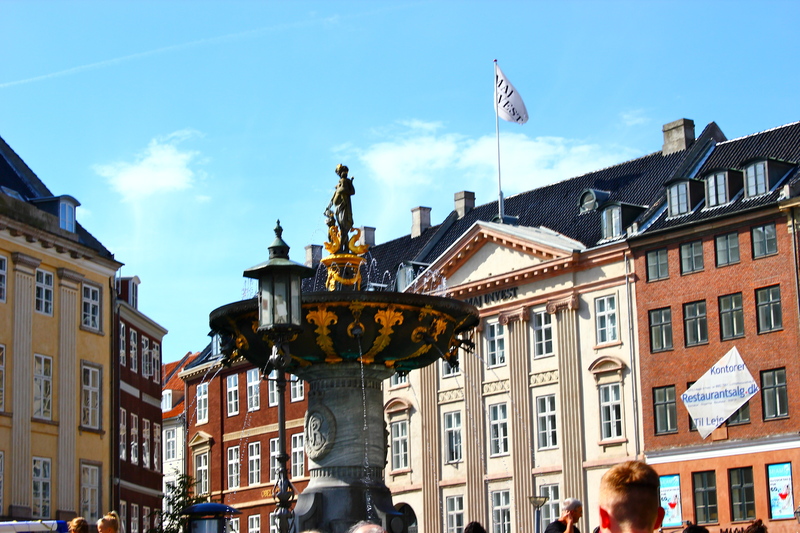 Water, like in other parts of Europe, dominates the scenery of Copenhagen. 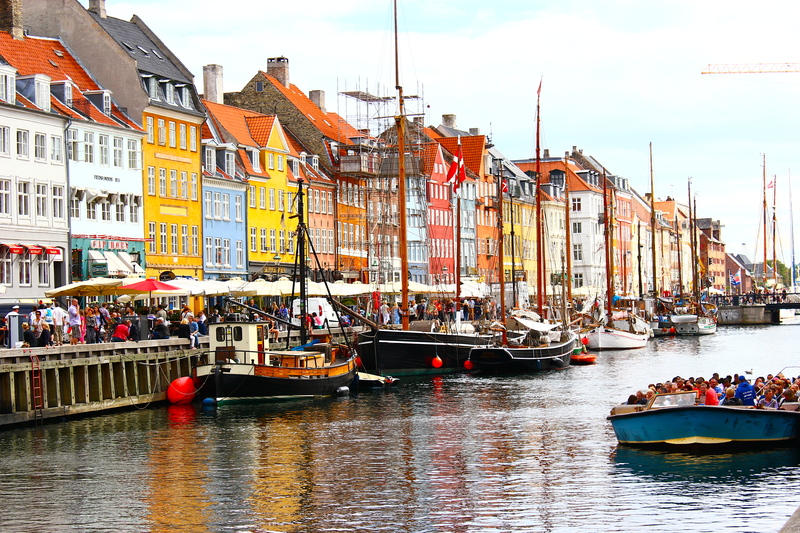 Canals, harbors, and other waterways provide unforgettable, picture-perfect views of an ancient Viking harbor (‘København’ means ‘Merchant’s Harbor’ in Danish) transforming into an ultra-modern metropolitan area. 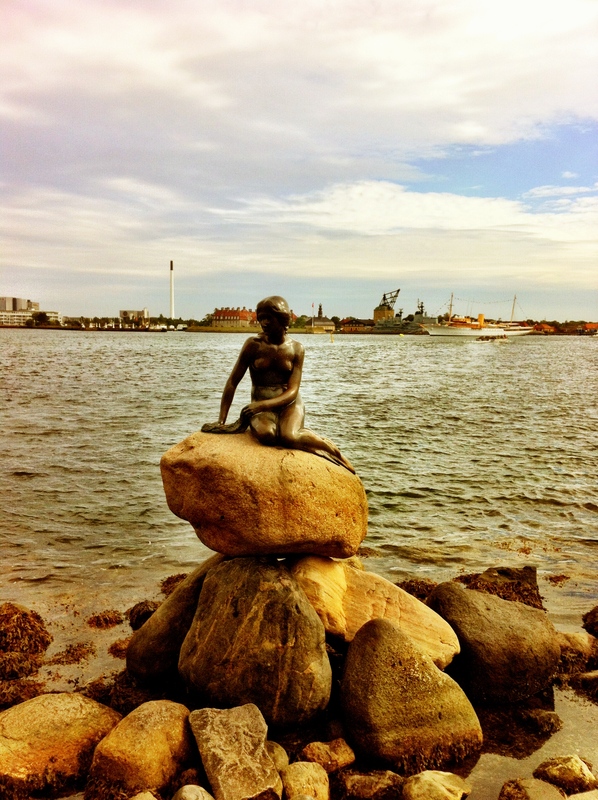 What makes Copenhagen different from these rival cities is that the water has been integrated into the city. A perfect balance is maintained between the scenic canals flowing uninterruptedly through the city and the architecture that has developed around these historic waterways—allowing pedestrians, cars, and public transportation to move freely throughout the city. 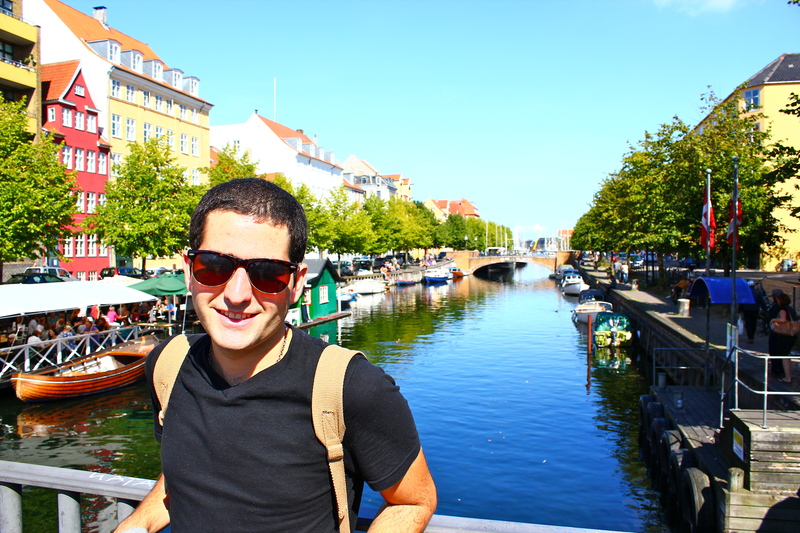 Of course, there is no other way to experience the Copenhagen canals than a canal tour—complete with a knowledgeable, charismatic tour guide and complementary champagne. 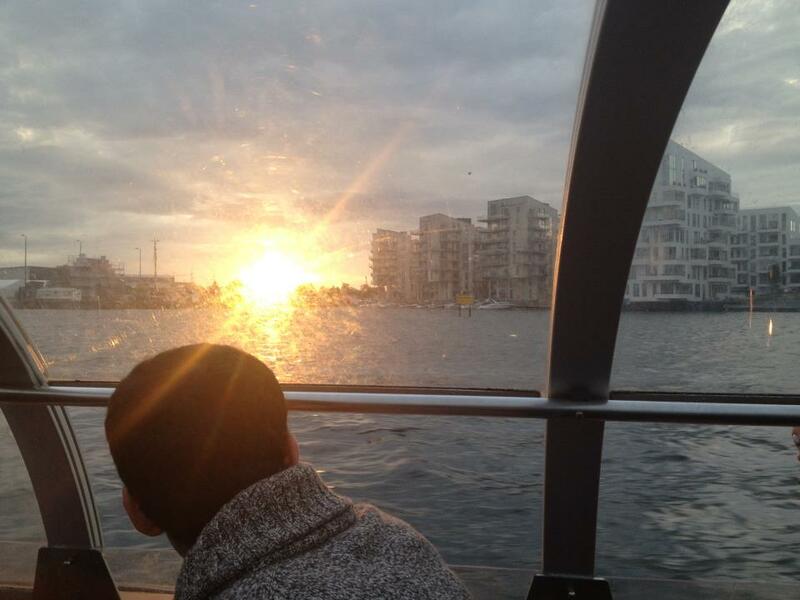 Because the fall in Copenhagen means the beginning of the long dark, cold, rainy winter months (imminent doom as tropic dwellers like myself prefer to call it), canal tours only operate from spring to the beginning of fall. 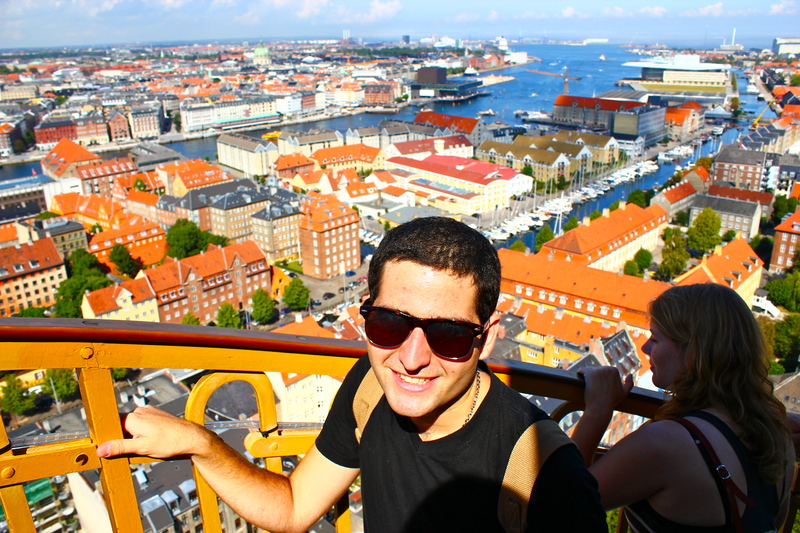 I guess in that sense I was fortunate enough to experience a canal tour during my four-month stay in Copenhagen. 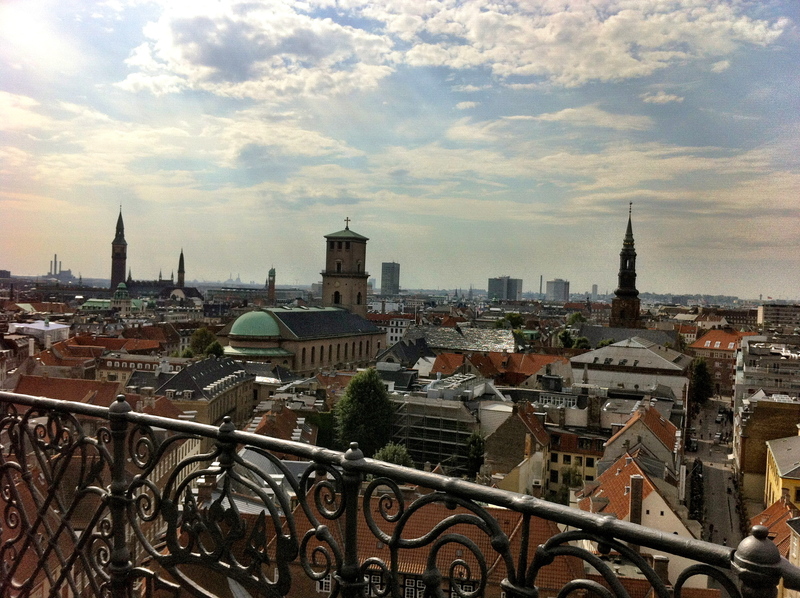 If, however, you prefer to see Copenhagen at an altitude higher than sea-level, there are plenty of options. Right in the middle of the city center lies the Rundetårn (“The Round Tower”), a 17th Century astronomical tower commissioned by King Christian IV. 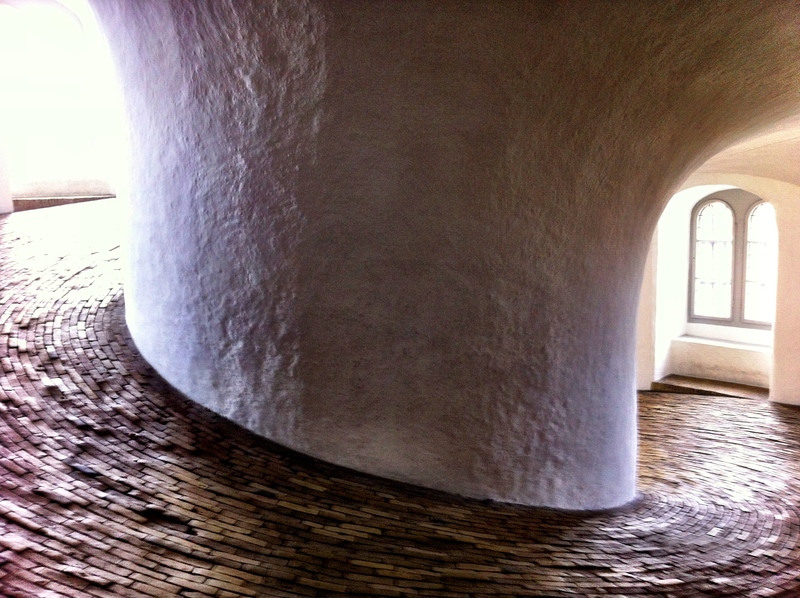 A 7.5-turn helical corridor was constructed, so the King’s horse and carriage could easily take him to the top of this 7-meter high structure to star gaze during the few clear nights in Copenhagen. 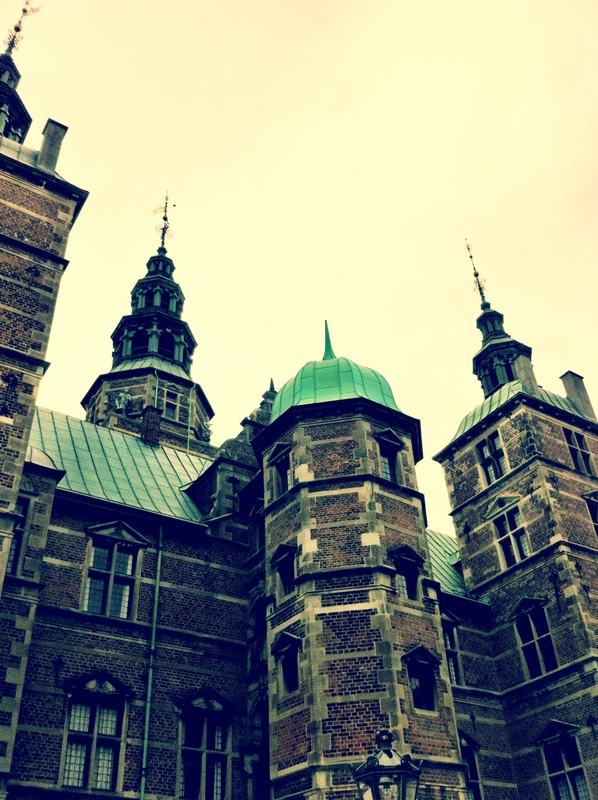 Taking the climb up the winding corridors takes you right to the top of the tower, providing you with a spectacular view of Copenhagen and near-by Sweden. 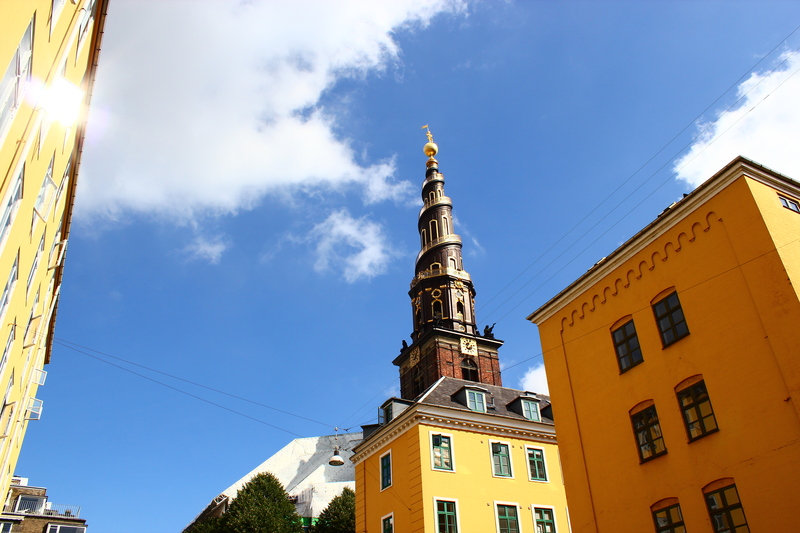 For those that may prefer a more elevated view, a climb to the top of Vor Frelsers Kirke, or the “Church of Our Savior,” in Christiansvahn should suffice. 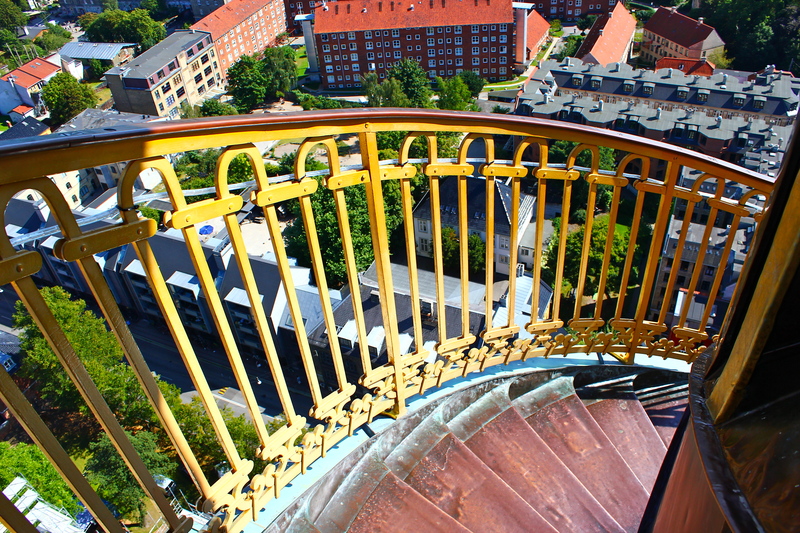 A 90-meter climb up this Baroque spiral tower gives you an unforgettable view of Copenhagen (and an unforgettable sense of vertigo). 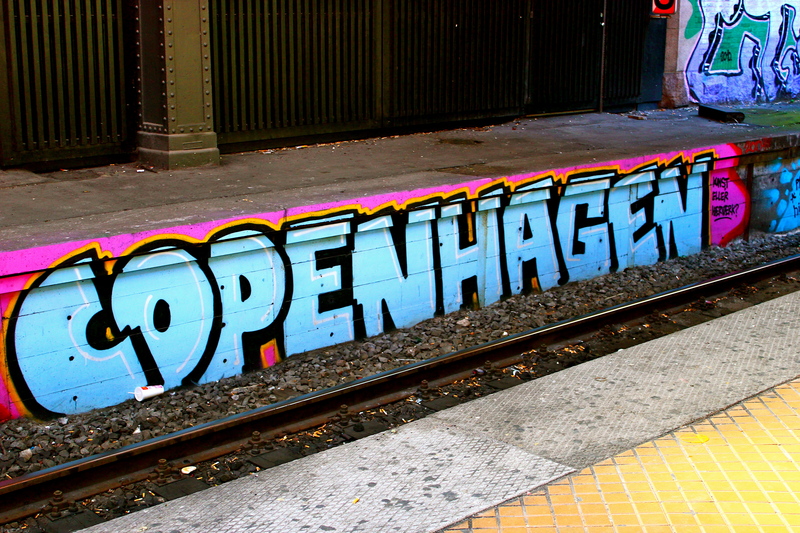 Copenhagen’s city center is the heart of Northern Europe. It’s full of great nightlife, scrumptious (and sometimes cheap) cuisine, the friendliest people you’ll ever meet, jaw-dropping scenery, and spontaneity. The mood is always lively—even during the cold and raining fall months. I could not be more fortunate to walk out of class every afternoon and find myself enveloped by this incredible city.